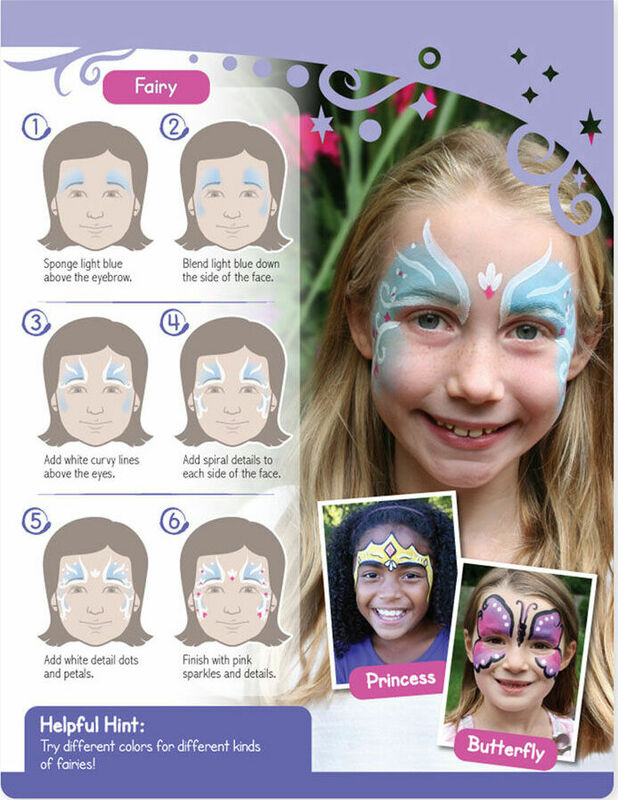 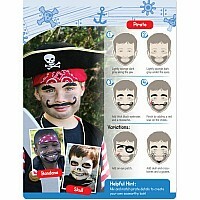 Easy, step-by-step directions show exactly how to create face-painting looks that children will love! 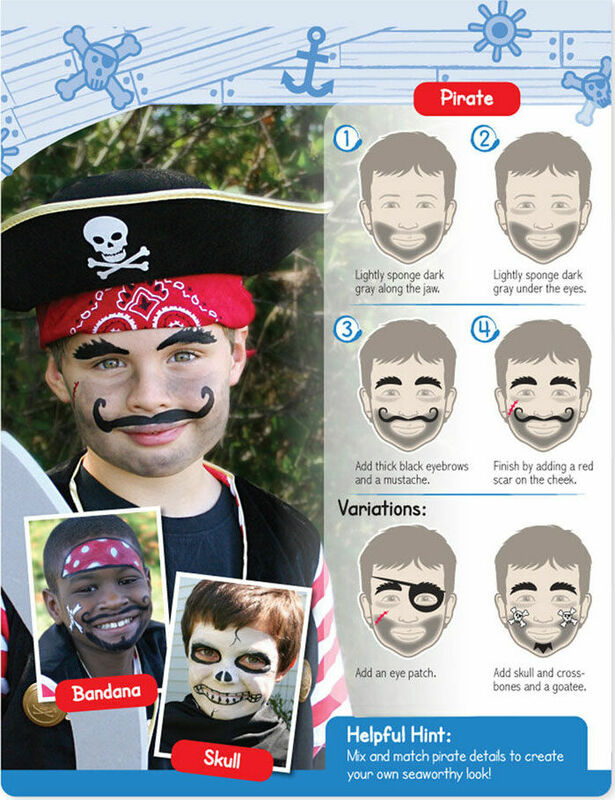 More than 35 designs include full-face disguises, as well as kid-friendly symbols, accents, and icons for just a touch of creative color. 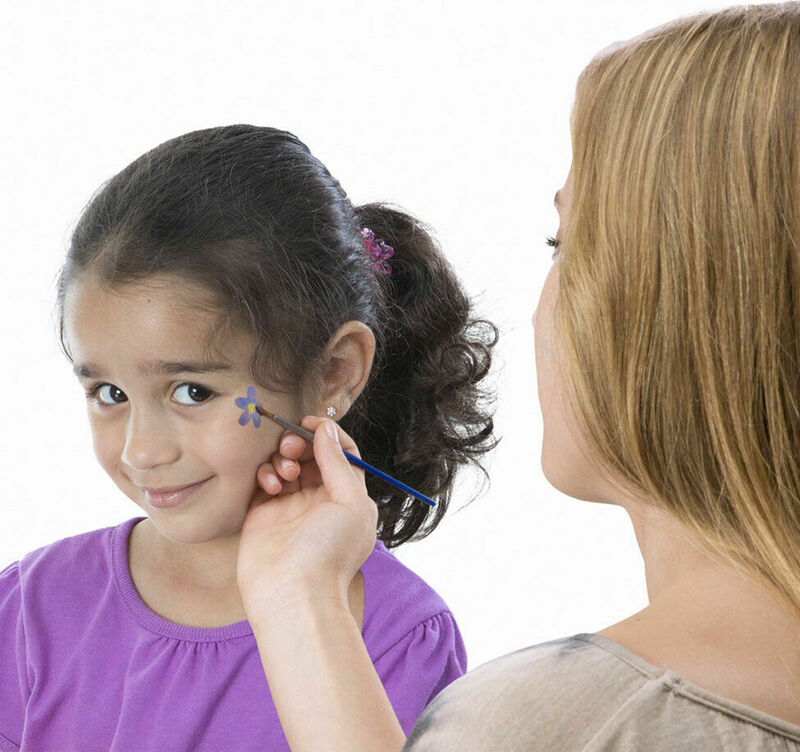 The set includes six water-based face paints that apply easily, dry quickly, and wash away cleanly, so there's less mess at every step of the process. 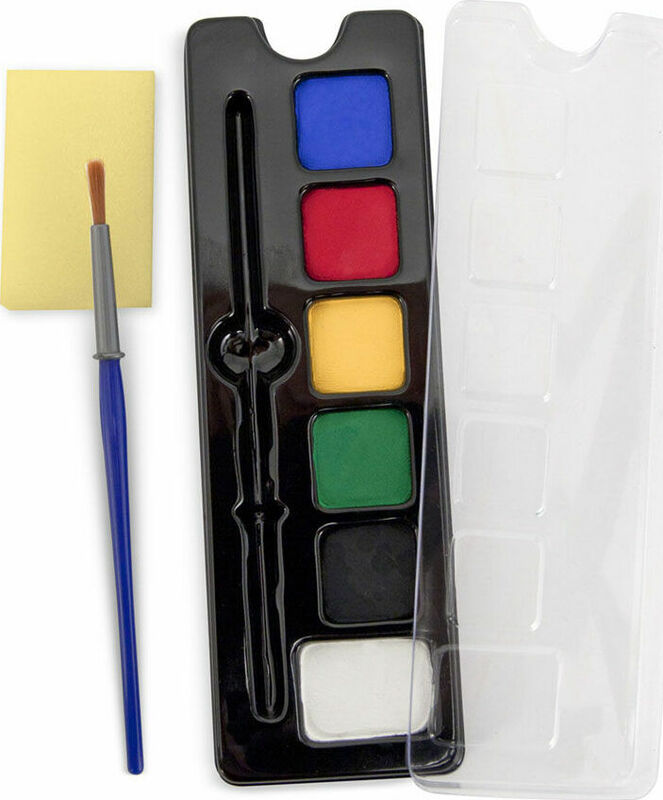 The paint tray, brush, and sponge store neatly right in the cover compartment of this travel-size activity, so it's easy to keep everything together until the next dress-up adventure!